The train rolls on through the scenes of frozen lakes, wild prairies, and farmlands that expand outward from my train window's view. I always get a bit nostalgic with good music in my headphones as the environments of my childhood steadily roll by. When I go home I usually fly into O'hare airport in Chicago, and then jump on the Metra train north to the Illinois border town, Antioch. Antioch is a convenient 20-minute drive from the Wisconsin side of the state line where someone from my family comes from to pick me up. It is a really cheap and efficient way for me to get home. 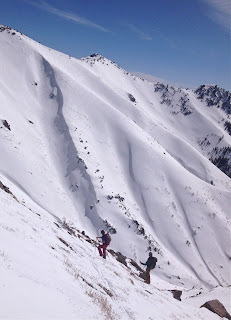 I was returning for my annual ski movie party with my latest project with Telemark Skier. Also, there is no better place for me to celebrate all that hard work then with all of my family and lifelong friends at my hometown ski area, Wilmot Mountain. ^The lights of Wilmot Mountain are near and dear to my heart. I grew up under these lights and learned the foundations of the skill set that has become my life's work. I have deep roots in these hills, and it has never once fallen lightly on me how much those roots have fostered my growth. ^All of my family and friends came out yet again to show me their love and support for all the hard work I undertook last winter with the Telemark Skier crew. It was a wild and crazy winter of snowfall debacles among others, but we powered through still finding some goods to share with our faithful community of telemark skiers. ^I also was lucky enough to have the date for a surprise retirement party for my father and lifelong family friend, Bill Curran, fall in the same weekend as my movie party. These two guys are the last of their kind in this world. Both of these guys put thirty plus years of their lives into Kenosha, Wisconsin's, Birchwood Foods. That kind of loyalty and steadfast commitment is no longer found in the modern workplace. I for one am glad to have been raised in that world. I feel lucky to have been given examples of work ethic like my father and Bill. ^I was deeply moved by the party and the shear gratitude of folks at Birchwood Foods. Phyllis, pictured at left in the back, worked hard to coordinate the surprise event with my mother and Bill's wife, Karen. All of the people that came out to celebrate these two careers with us were an unbelievable treat as well. Birchwood's President, Dennis Vigneri, pictured at right standing, showed a moving amount of gratitude and appreciation for my father and Bill. I was deeply touched by his sincerity and candor. My father and Dennis grew up together in that company to a certain extent, and I am assured of the greatness of this President by the deep respect that my father holds for him. Dennis' own father, Charlie, was a profound role model to my father in his career, which is why it is of no wonder to me how Dennis has become the successful leader he has. He even gave me a job through high school each summer, and as I returned years later for a tour of the new facilities just a year ago I was blown away at how he has grown the company into the modern world. My father gave a big part of his life to this company and to the Vigneri family. My family and I are so thankful for their reciprocated support of him all the way to the end of his long career. The appreciation and gratitude that falls short on most of corporate America these days was on full display from this thriving family business that evening. This surprise party was of no surprise to me because I have had a lifetime of examples of great people from all of the folks at Birchwood Foods and in the Vigneri family. From my own days working for the likes of Alex, JR, Sandy, Clayton, Chico, among others, to my father's career peers like John, Dennis, Bill, Tina, and many more, I have been blessed with fantastic role models of work ethic and commitment. Those are good foundations to build on, and I am grateful for all of them in my life. ^I was luckily able to celebrate the holidays at home a bit early with my family. I also got a chance to stop by my cousin Alex's new home and burgeoning little family. 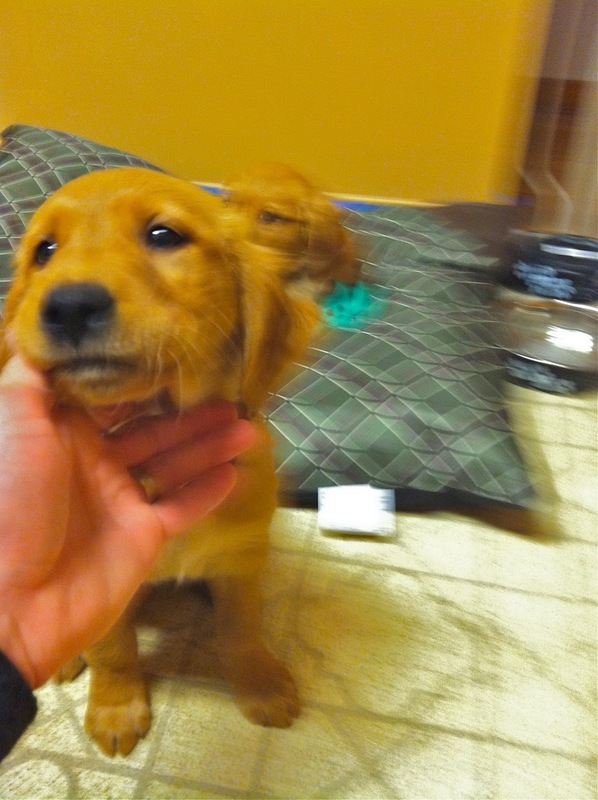 His girlfriend has also graced his home with him, and they got these two brand new little puppies to fill it up. He is a handy kid, and I am excited to see the work he is going to put into the solidly built old home. He has a lot of room to make some serious equity, and he has the skills, backbone, and work ethic to make it happen. After all, he is a chip off the old Robinson block, and we just flat out get it done. I am super proud of him, and excited to watch his life come together for him because he has earned every bit of his success. ^After I got home and waited for the snow to add up in the Ogden Wasatch, I decided to expedite some work for a friend of mine on his bathroom. 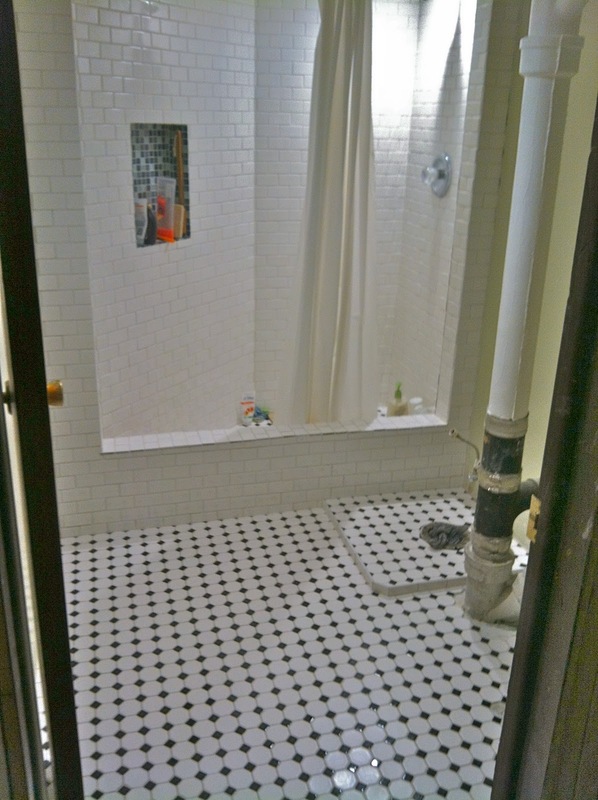 He has been chipping away at this project for a while so when he called me to get back in and finish up the tiling for him, I jumped right on it. The snow was low and I was anxious to get this project moving further along for him. 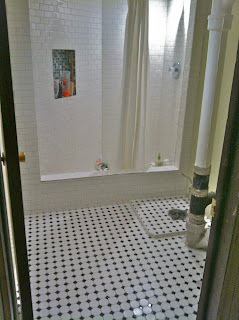 I am stoked on the job I did on the shower and floor, and I am excited to get back again to help him wrap it all up. He still has some more work to go in there yet, but soon enough I will be able to hook up the last of the plumbing for him so he can be off to the races. My saying became, "I will make hay when the sun shines, and make turns when the snow flies." The weather is starting to come into the Ogden Wasatch now in a big way, and I am glad I was able to make all that hay while I waited for snow to finally start to fly significantly. Here comes the wild and crazy onslaught of winter! Now I am ready.